The City of Rochester's civil lawsuit against landlord Peter Hungerford's Thurston Road Realty is proceeding. The proceeding centers around two of Hungerford's apartment complexes in the city, one at 447 Thurston Road and another at 967 Chili Avenue. The city argues that numerous code violations at the properties have gone unaddressed. It's asking the court to order Hungerford's company to make necessary repairs and if they aren't made within 90 days of the order, to appoint a receiver, which would collect rents, manage the property, and make repairs. 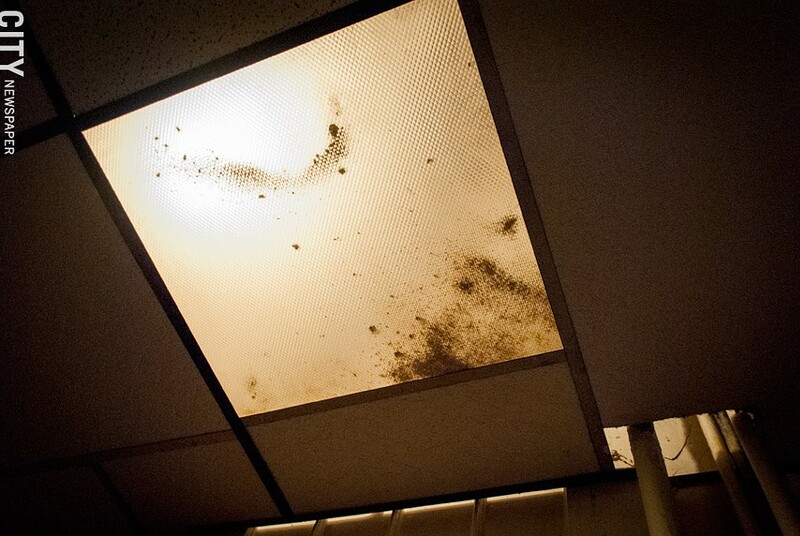 Tenants at 447 Thurston Road have filed complaints with their landlord about mold growing on their ceiling. These issues, tenants say, continue to go unaddressed. Attorneys for the two sides appeared in City Court this morning. The Thurston Road Tenants Association has filed a motion to join the case, and Judge Maija Dixon set June 15 as the date to hear the association'srequest. The association represents tenants at the 447 Thurston Road complex, who have tried to draw public attention to deteriorating conditions there. Dixon ordered Hungerford to appear at all future court dates for the case. She also directed his company to apply for any permits necessary to fix violations, and to let the city reinspect its properties within the next 10 days. The judge also rejected the company's contention that there were no outstanding health and safety violations at its two properties, says city spokesperson Jessica Alaimo. Ryan Acuff, an activist working closely with the tenants association says the Thurston Road tenants are interested in buying the building from Hungerford and converting it to cooperative ownership; they would also make repairs. Activists and tenants have found a developer willing to help that effort, Acuff says.